Eckl's@Larkin offers a plethora of dining, mingling and presentation style offerings for your next corporate event or personal gathering. 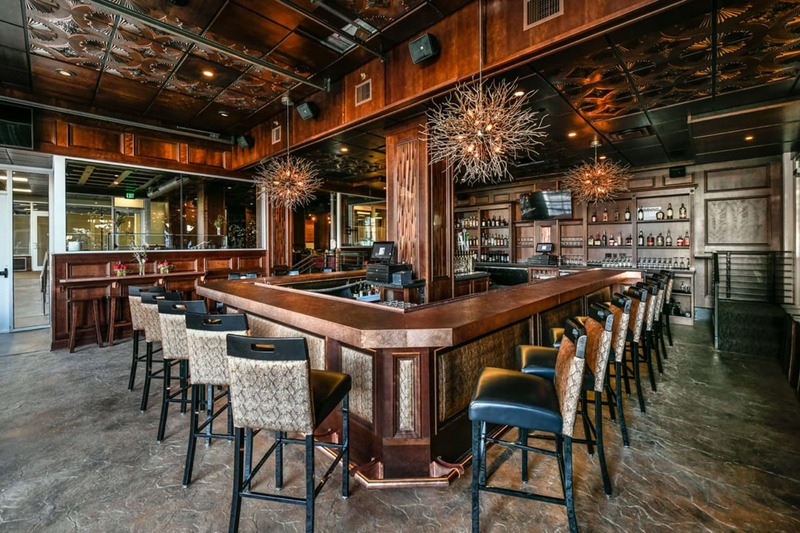 With its own private bar and serving area, a newly added event space is ideal for gatherings upwards of 150 guests. The combination of dark paneling with contemporary English wallpaper and shimmery drapes compliment the exquisite cuisine. 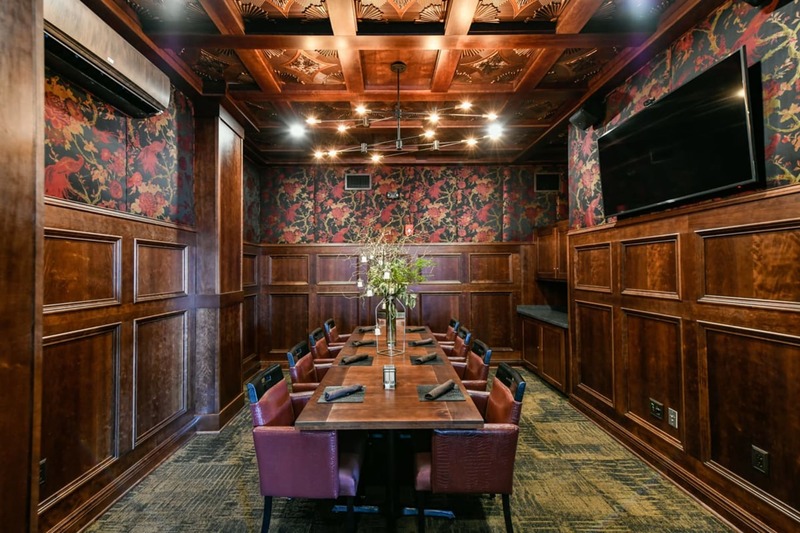 For more intimate events, two private dining rooms offer an elegant experience with the quaint setting you may require for 10 to 30 guests. Each room offers internet connectivity and a variety of audio and video connection methods. The private dining rooms were designed with creative flexibility in mind, combining understated sophistication with fine dining. Eckl's@Larkin has set the stage for a memorable family outing, or keeping successful business in mind. With additional venue options within the Larkin Center, Eckl's@Larkin can accommodate over 400 guests for your next holiday party, graduation party, rehersal dinner, shower, birthday, reunion, banquet/induction ceremony, executive board meeting, industry conference, product launch, PR event, corporate gala, or fundraiser. The broad and honed skill set of Chef Andrew Marino and his team allow for a dynamic set of menus covering lunch, dinner, sit down and buffets. Drawing from our finest steaks, chops, seafood, legendary beef, as well as a diverse set of pasta, vegetarian and vegan dishes we are able to accommodate small business meetings, family bridal showers and high-end galas. Our menu items range from deli trays and fresh fruit displays, butternut lasagna and pan seared salmon to filet mignon and rack of lamb. 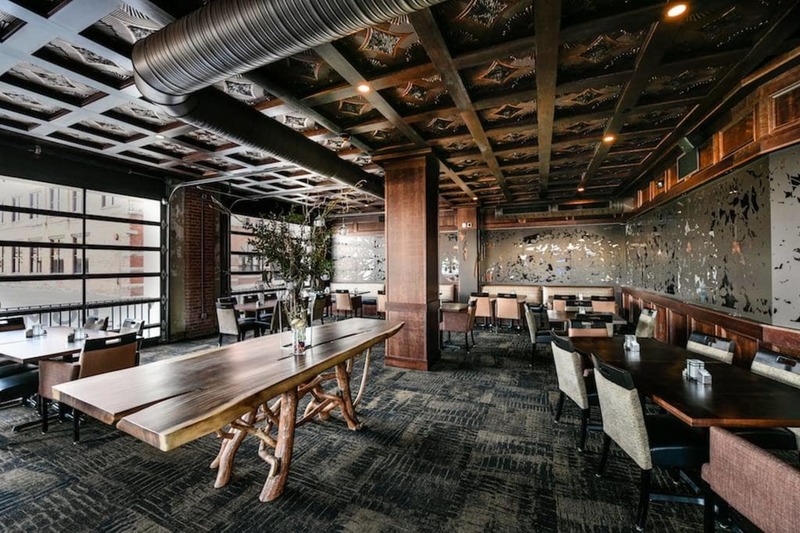 The refined surroundings of Eckl's@Larkin galvanize minds and breed creativity, producing custom menus and events amongst the best in Western New York. Choose four choices from sections.